The UIPM has a duty to contribute to the global sustainability in line with Olympic Movement vision of “Building a better world through sport”. In response to recommendation 5 of Olympic Agenda 2020 (“Include sustainability within the Olympic Movement’s daily operations”), the UIPM joined the IOC to build a Sustainability Project in 2017. 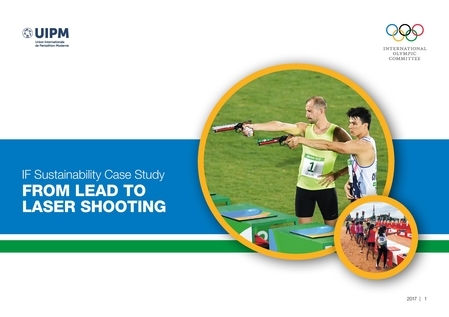 The first Project´s outcome is a case study named “The UIPM sees environmental and social benefits after transitioning from pistols with lead pellets to laser”. The document (available for download below) shows one of the main initiatives of the Union to actively contribute towards a more sustainable world.